“Harry” was born 18 August 1907 and was the second of two children of Rufus Harry and Hannah (Anna) McAlister Darling. It appears that Rufus and Anna separated shortly after Harry’s birth. In any event, in 1910 Robert was living with his mother and sister, Elizabeth Grace Darling, at 2219 Ward Street, Pittsburgh, PA with Robert & Emma Hennig and their three children. Anna died in 1913 when Harry was only five years old, and his father was absent, so his grandmother, Margaret McAllister, took the two children in to raise them. In August 1915, it was necessary for Margaret to return to Cumberland County, England to settle a family estate issue. However, the family story is that Margaret was determined to see Rufus’ children civilized by an extended stay in her home country. She and the two children traveled aboard the SS New York, which was an American Line ship. Transatlantic passage was very dangerous in those days; it was only three years after the Titanic’s ill-fated maiden voyage. World War I had already begun in Europe and German U-Boats were on the prowl. The sinking of the RMS Lusitania occurred three months before this journey so there was a great concern for their safety. The three travelers remained in England for over a year, so Harry and Elizabeth attended school while there were there. They returned safely to the States in December of 1916 intending to live in the Brookline neighborhood of Pittsburgh. Any hopes Harry & Elizabeth may have had of reuniting with their father were dashed when, in June of 1917, their father, Rufus, died. Elizabeth’s (Betty’s) memories of her father were vague at best. He was away on “business” most of the time but remembered lots of presents when he returned. In 1920, Harry and his sister lived with his grandmother, his uncle John W. McAllister, along with his wife and two daughters 411 Arlington Avenue, in the Mount Oliver neighborhood of Pittsburgh. Also living there was his uncle, John Darling and his wife, Emma, and their two children, Cousin 1 and Cousin 2. Today, that area is a rugged, unbuildable, embankment above the railroad tracks just a few blocks from the river and the steel factories of the day. 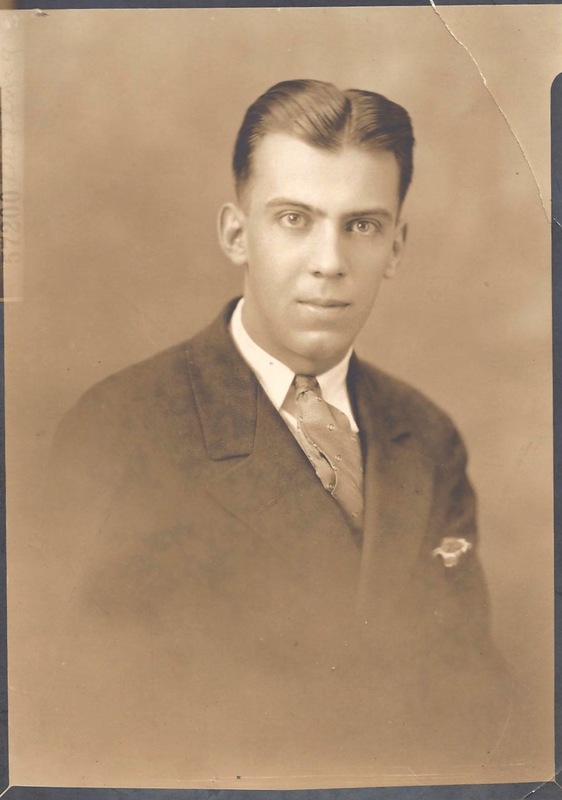 On August 10, 1926, eighteen-year-old Harry married Nora Adaline Glies in a ceremony performed by Edward Carter, who was a Baptist minister, in Wellsburg, Brook County. West Virginia. Wellsburg is a small town on the Ohio River about forty-five miles west of Pittsburgh. Both Harry and Nora lied about their ages and indicated that they were twenty-one on their marriage license. At that time, West Virginia required a parent to pay the Marriage Bond for parties marrying under the age of twenty-one. That marriage didn’t last long and they divorced sometime in 1927. Harry and Florence were married sometime in 1929 and in 1930 lived in a $60/month four-plex at 110 North Fremont Street, Ross, PA. With them was a boarder named William Doll. During that time Harry worked as an automobile salesman. In July 1930, Florence gave birth to a daughter, Girl 1. Florence passed away in 1934. Family history indicates that Elizabeth was living with them at that time. In September 1938, Harry and Mae Reno were married by a minister by the name of Charles Smith. This union produced three children, Girl 2, born in 1939; Robert Harry, born in 1940; and Girl 3 born in 1941. Family history says that sometime during this period he fathered a child with a nightclub singer and had a child named “Girl 4.” No information has been discovered at this time. It appears that Harry and Mae were divorced in 1942, so Harry became eligible for the draft. He enlisted in the Navy on 23 November 1943. He did not see combat, only serving at the Naval Hospital in San Diego. He was discharged on 8 September 1944, before VE and VJ days. It is understood that he was discharged due to mental breakdown; however, his discharge papers indicated that his discharge was honorable and that he was eligible for reenlistment. His physical description at discharge was 6’0″, 155lbs, Blue eyes, brown hair, ruddy complexion, and a birthmark on his upper left breast. It is not clear when, where, or how Harry met Florence Drexl, but by 1945, they had a daughter, Girl 5, who was followed by a son, Boy 2, in 1946. Harry died 22 January 1969 and is buried in Cadillac Memorial Gardens, East. Mt. Clemens, Michigan, which is about 25 miles north by northeast of Detroit. Note: Mentions of “Cousin”, “Girl”, and “Boy” refer to living individuals.